Indian Stock Market gained smartly on Tuesday with BSE Sensex closing at 17728 after registering 95 points gain. NSE Nifty ended at five month high of 5380. Market analysts are looking at 5400 level as major resistance for NSE Nifty. If the stock markets worldwide continue to rise, we can expect NSE Nifty to touch 5500 level. Dow Jones is near its 52-week high of 13,338. The US market closed marginally lower on Monday. 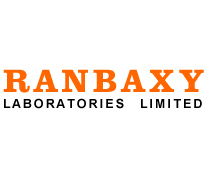 Pharmaceutical major Ranbaxy Labs closed above Rs 500 today. The stock had seen decline over the past few sessions after the quarterly results were declared with huge loss. The stock closed Rs 16.6 higher on NSE after touching intraday high of Rs 502.50. The economy of Euro-zone has showing signs of shrinking in the recent report. Compared to first quarter, the economic output was lower by 0.2% in second quarter. The financial crisis in Euro-zone could continue as the production numbers will lead to reduction on confidence. The European stock markets were marginally higher on Tuesday. USD-INR was trading at 55.66. EURO-INR was trading at 68.63. Pound-INR was 0.56% higher at 87.26.